Highlands, rainforests and tranquil coasts: Pahang has it all for you. What to do there? There are plenty of nature and outdoor activities for you to discover in Pahang as what the state is known for. Taman Negara is the ecological highlight of Pahang. This tropical rainforest is said to be around 130 million years old and contains a diverse range of flora and fauna. You can camp here as well to experience the serenity of the jungle while going on mountain hikes and waterfall climbs. If you love hiking, going up to Mount Irau would be a great idea too. The scenic mossy forest offers stunning sights, close enough for you to experience what it’s like to be in a fairyland! Aside from that, going to Malaysia’s entertainment capital, Genting Highlands is something worth doing too. With a resort, casino, a premium factory outlet to shop till you drop and of course, the ultimate highlight - a newly built 20th Century Fox World movie theme park, there’s something for all ages to experience here. What to see there? Cherating Beach is on the east coast of peninsular Malaysia and is a great place to join in beach parties and watch the sunset. The nearby town of Kuantan also has numerous eateries to frequent for traditional food. Tioman Island Surf Festival is held in January and it would be a great event to meet local surfers too. Water parks such as Gambang Water Park and religious sites like the Buddhist cave temples are nearby as well. Fancy a little more relaxing adventure? 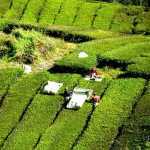 Have a drive up to Cameron Highlands and Brinchang, where there are many tea plantations and strawberry farms. The cool climate also gives you a great chance to unwind, have a delicious snack and take in the beautiful green view. Where to eat? Hoi Yin Curry Laksa, Gobang Maju Patin Tempoyak, Ana Ikan Bakar Petai, Murtabak Mengkasar Pak Din, Cendol Air Putih Kuantan, Jaman Tory Recipe. Useful local terms Pahang Malay is a variant of the Malay language exclusive to the state of Pahang. It is mostly similar, though some slang and words are usually accented. Here are some examples to help you interact with the locals. Be sure to bargain if you want to purchase something from the local stalls, you’ll be able to save a lot from the original price. Dress modestly when entering a religious area/institution and mind your behavior. Always settle a price with a taxi driver before entering the vehicle. Insist on using the meter too, or just walk away and use a ride sharing app. The best places to eat won’t be at an upscale restaurant or hotel most of the time! Ask the locals where’s the best place to go for a meal or observe which spot the locals frequent. Do your research ahead of visiting the islands or national parks. Tours generally plan everything out for you but you can avoid the high cost and have a more flexible plan if you spend a few hours researching the activity. November to early March due to wet season. November and December is the school holiday season and as Pahang is known to be one of the top destinations for families and friends, most chalets, resorts and hotels might be fully booked. If you already have a plan to go there during this time, be sure to make your bookings early. 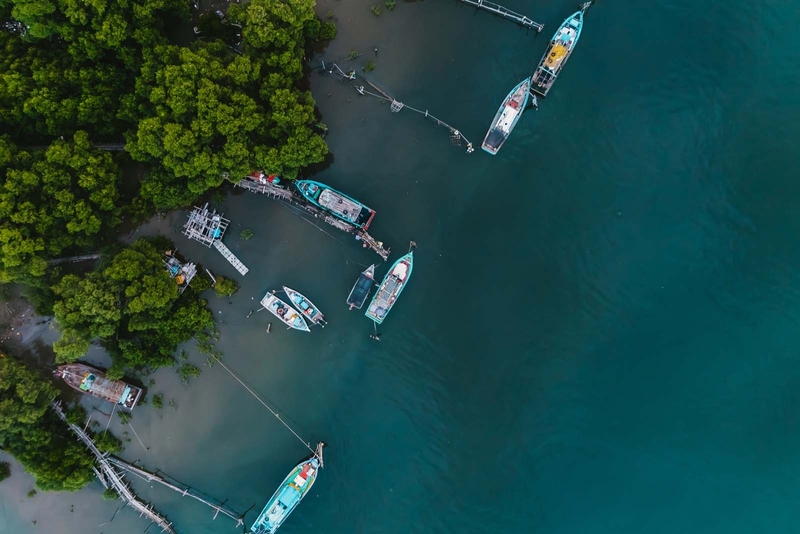 The largest state in East Malaysia, Pahang offers amazing mountains to hike, brilliant beaches and a variety of mouthwatering food for all types of travellers.